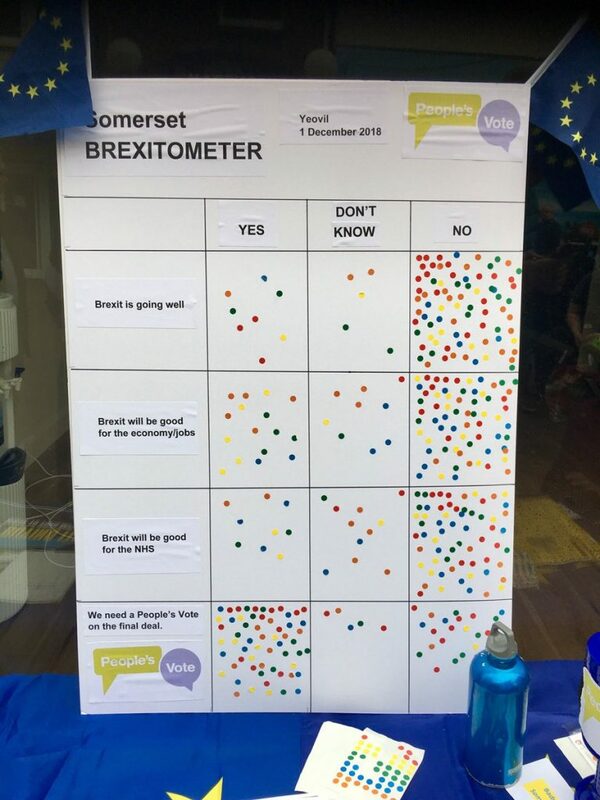 Total of 83 cards but some had more than one option ticked. We also gave out plenty more for people to post themselves. Thank you again to everyone for all of the hard work. This entry was posted in Brexit on January 14, 2019 by slpadmin. This entry was posted in Brexit, EUReferendum on December 13, 2018 by slpadmin. 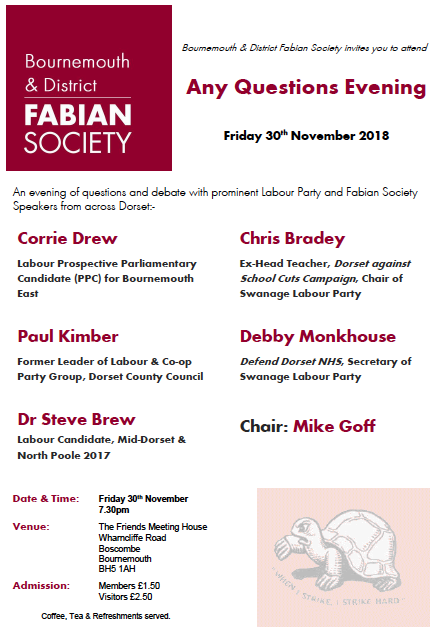 Not only do we have the fantastic Clive Lewis MP event (see events page of website) on 19th and 20th October, Bournemouth have shared with us some other events… see below. This entry was posted in Community, Share on October 6, 2018 by slpadmin. 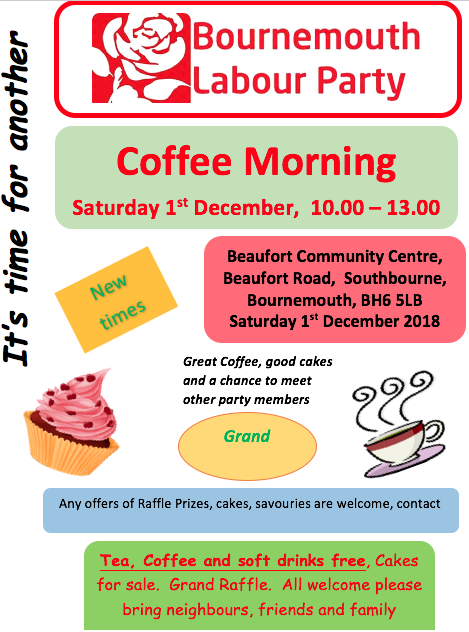 It is a pleasure to share the new Dorset Labour Magazine. It is a fantastic publication, full of Labour reading and articles. Well done to the producers. Please read and share. What’s a fantastic local Magazine. This entry was posted in Uncategorized on December 8, 2017 by slpadmin. Our letter to the Sherborne Town Council has made the Western Gazette and its website. See below for the article, and the opportunity to vote in a poll for the potential crossing at Digby Road. The Council have agreed in principal for this to go ahead. This entry was posted in Sherborne on December 1, 2017 by slpadmin. 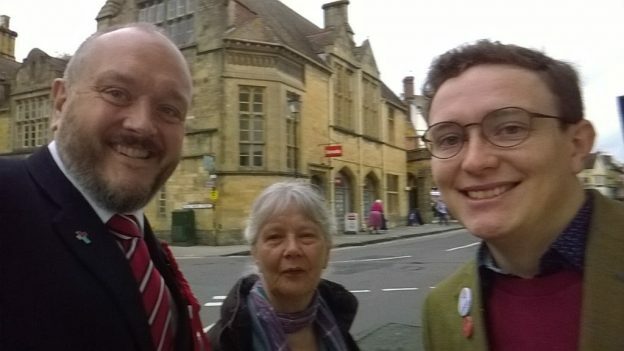 Discussed at the recent Sherborne Branch meetings was the possibility of a crossing at a busy and dangerous Sherborne road in the town Centre. 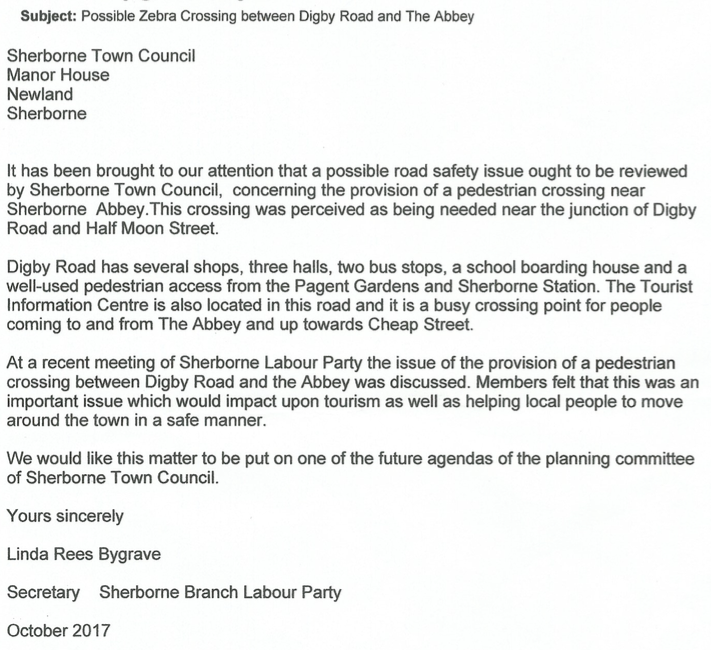 See below the letter that was devised by the party secretary, and sent onwards to Trevor Savage, Town Clerk to Sherborne Town Council. The Sherborne branch are prioritising ‘Local Issues’ at meetings and hope to be actioning even more letters and correspondence like this. This entry was posted in Sherborne on October 22, 2017 by slpadmin. We are asked to put our trust in our PM to produce a good deal for the UK regarding the EU. She likes to tell us that we have a ‘strong and stable’ government at present. Therefore why do we need an election? I am very glad that we are having one however since the timing is perfect – coming as it does at the – ‘END OF MAY’ ! Last year Leicester City, this year …. who knows !? This entry was posted in National Labour on May 1, 2017 by slpadmin.